Mike Rother is an engineer, a researcher and a teacher who works to develop scientific thinking in individuals, teams and organizations. He shares his findings widely and is in the Association for Manufacturing Excellence Hall of Fame. 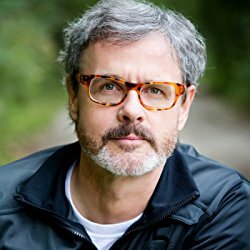 Rother will discuss the findings behind his books, "Toyota Kata," the "Toyota Kata Practice Guide," and "Toyota Kata Culture," about turning scientific thinking into a practical skill that anyone can learn. It’s amazing what we can achieve by practicing a practical form of scientific thinking. Yesterday’s solutions may not fit tomorrow’s problems, but there's no cause for concern. We’re well equipped to meet challenges of all sorts, as long as we practice a way of doing that. 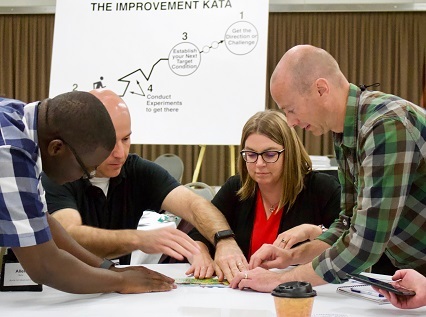 Toyota Kata is about individuals, teams, and even entire organizations practicing scientific thinking skills, to enable them to achieve all sorts of challenging goals. Practicing the scientific-thinking starter routines of the Improvement Kata helps anyone and any team quickly and effectively develop fundamental skills for experimenting and adapting like a scientist. Practicing the starter routines of the Coaching Kata helps any manager get better at coaching the scientific-thinking way. Rother has been a member of the Industrial Technology Institute (Ann Arbor), the University of Michigan College of Engineering, the Fraunhofer Institute for Manufacturing Engineering and Automation (Stuttgart), and the Technical University Dortmund. He is well-known for the Toyota Kata series of books, which explain a means for developing, activating and mobilizing human potential by making scientific thinking a daily habit. His previous book, "Learning to See," is known around the world as the standard explanation and user guide for value stream mapping. Visit the Toyota Kata website for more tools and resources. Don't miss a rare opportunity to experience hands-on kata training with Mike Rother throughout AME San Diego. The Kata in the Classroom workshops are free, but they will fill up fast.